Have you ever heard of a barndominium? A barndominium is a type of house that is built to look like a barn but have the amenities and the features of an actual house. Barndominiums are often built in fields or in areas that have a lot of greenery. This is the best place to live in if you love the exterior design of a barn but can’t live without the comforts of an actual house. 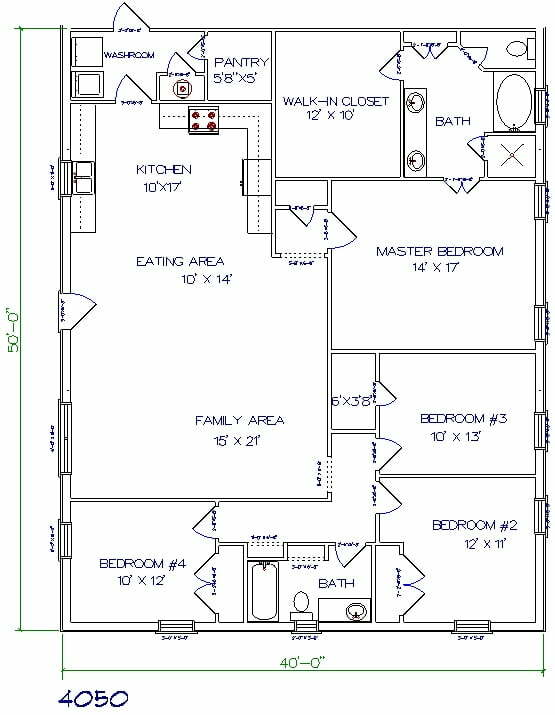 So, we have provided with you some awesome floor plans below just in case you’d want to build your own metal barndominiums in the future. 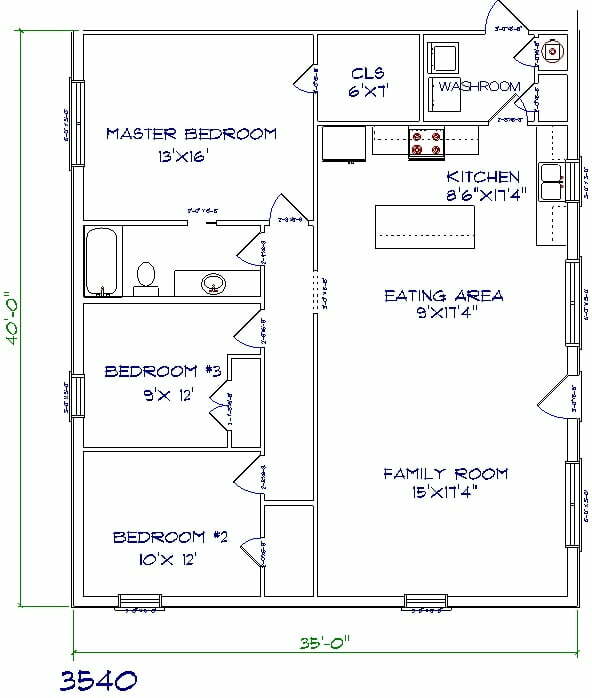 These floor plans are very unique with regard to design and they will definitely appeal to you if you love to stay in a place that can give you a very “country” feel. Check out some of these barndominium designs and decide which of these designs are the best for you. Choose a barndominium that has a really nice layout and a size that will suit all of your needs. Determine how many rooms you want to put in your barndominium. You can also decide where you want to place your dining room and your living room. 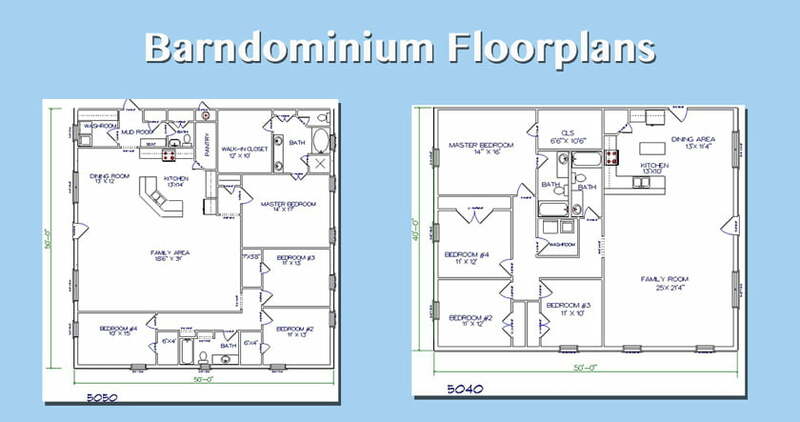 All you have to do is base your own design on the floor plans that are given below. These floor plans are made by W.D. Metal Buildings and are top class. If it is your dream to build a nice little barndominium in the future, then you can take your pick with these designs. Trust me, you will enjoy staying in this type of place. 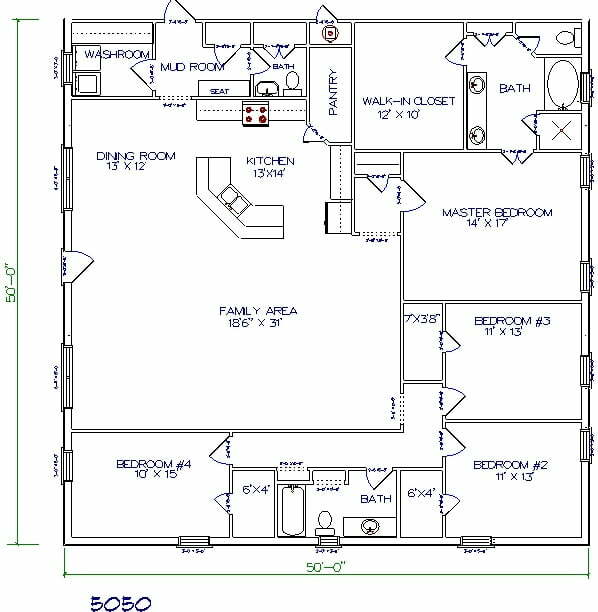 2 bed, 2 bath – 35’x40′ 1400 sq. 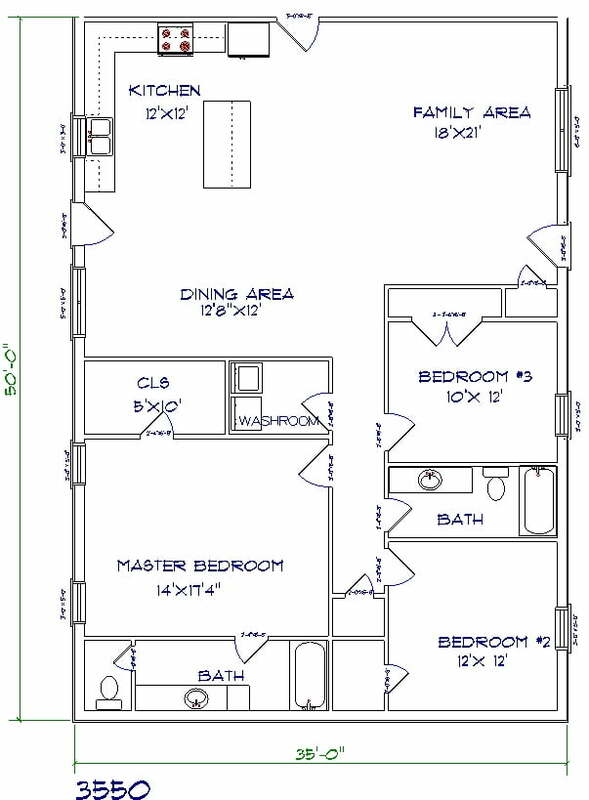 ft.
3 bed, 2 bath – 35’x50′ 1750 sq. ft.
4 bed, 2 bath – 40’x50′ 2000 sq. 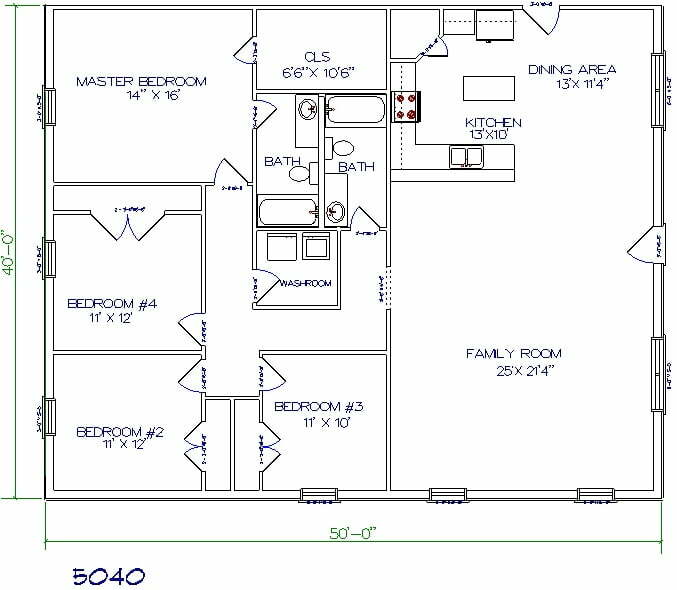 ft.
4 bed, 2 bath – 50’x50′ 2500 sq. ft.